56 y/o female with patellofemoral arthritis. Sunrise view shown. Corresponding arthroscopic image demonstrating Grade 4 chondromalacia of the lateral facet of the patella and corresponding area on the trochlear. 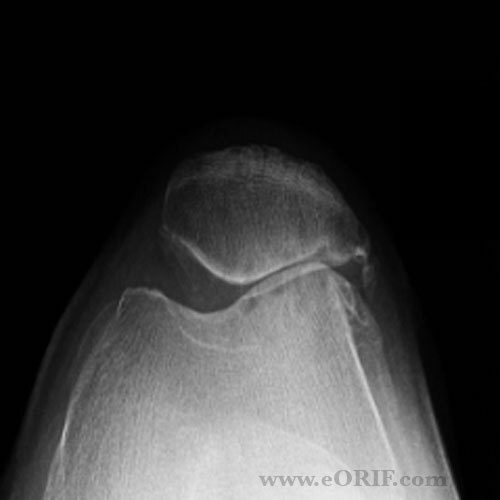 Lateral facet of the patella with Grade 4 chondromalacia. Red arrow demonstrating normal depth of patellar cartilage.